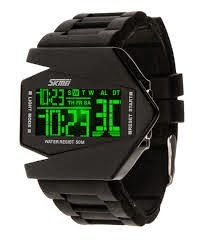 wooow….jam tangan airplane watch-jam tangan led pesawat ini bener bener keren banget,sangat cocok untuk yg berjiwa muda,stylish dan sporty. 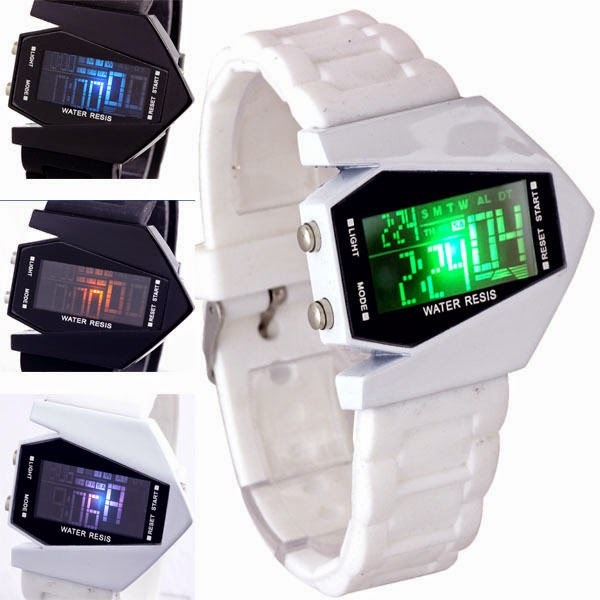 untuk mengubah warna LED dengan cara menekan lama tombol "light"
The light color of watch is flashing ! 7.excelllent design, very cool, female can also wear it. Press the A button to turn on the effects. Hold A at least 3 seconds for changing light effect. Press C only once at standard time indication. Under standard time indication, press B twice and enter into the alarm setting mode. C button to set alarm and D to shift. 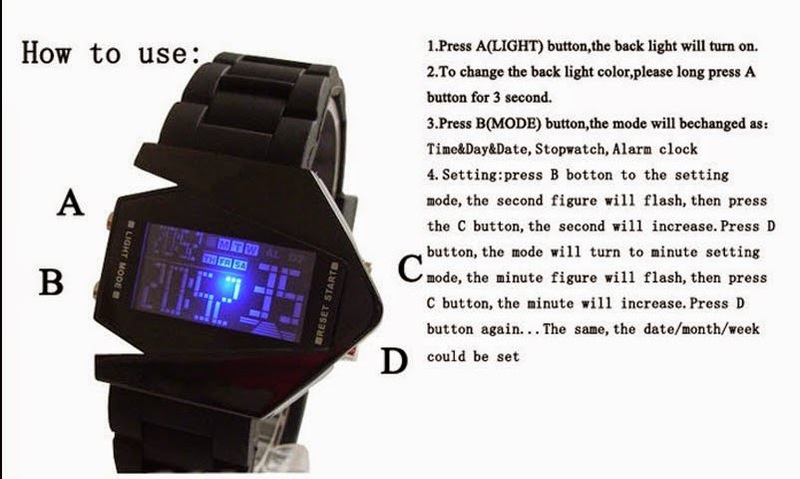 In normal mode, hold C and press D to turn on/ off alarm. 6. 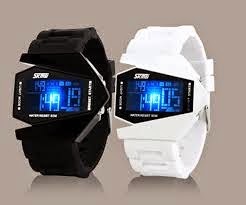 Adjust time, date, day of week: Under standart time indication, press B thrice and enter into the time setting mode. C button to set time and D to shift. 7. Switch 12/24 hour systems: Under time setting mode, 12/24-hour system can be shift while adjusting Hours.